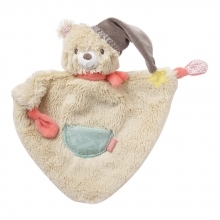 The huge, soft Bruno invites your baby to discover, cuddle and learn in his colourful play world. The soft 3-D activity quilt from the Bruno collection is the perfect first playground for small discoverers. Bruno the bear and its friend Sammy, the sawfish can´t wait to go out on exciting discovery tours. 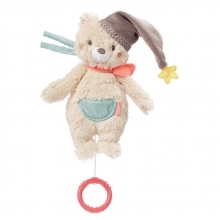 The adorable toys at the arches are placed to be reached easily. 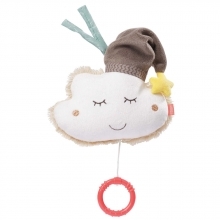 The help to train baby´s conscious grasping and first hand-eye coordination. 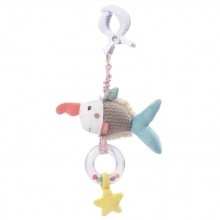 The rattling fish, squeaky cloud and tinkling bear attract baby´s curiosity with surprising sounds. The big rattlering with rainbow-colored beads animates to shake and play whereby the colored beads funnily race around in their pipe. The mirror playfully trains baby´s self-cognition. 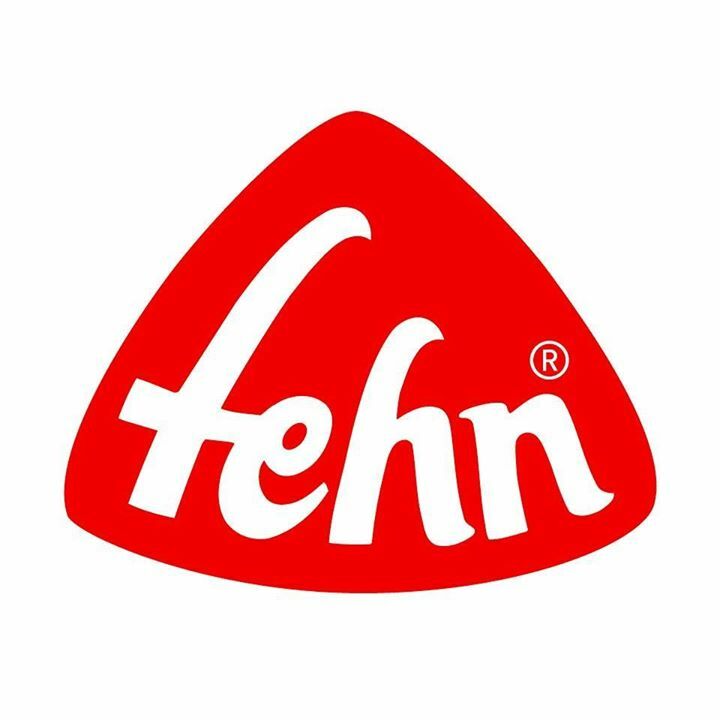 The five small toys can be removed and attached to many places easily and provide thus fun at home and on the go. 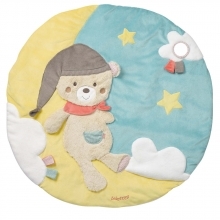 The soft and comfortable padded blanket offers a lot of playing features, too. Multiple textures and surfaces invite to touch, snuggle and play. 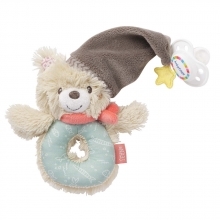 Crinkly straps and the three-dimensional ears and arm stimulate baby´s touching sense and offer an exciting surprise to your baby. The mirror is perfect for funny “Peekaboo”. 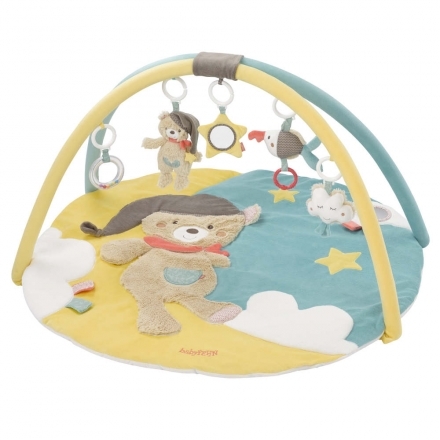 The arches are easily to be clicked on or off so your baby can use the quilt for playing, lying, crawling or sitting during different growth phases.